We have made our mark as a capable Manufacturer, Exporter and Supplier of Molybdic Acid in Delhi, India. The Molybdic Acid that we bring to you is perfect in preparation and pure in its true sense. Over the years, we have been successfully delivering small as well as bulk orders with the surety of timely deliveries. Our Molybdic Acid is obtainable at the most lucrative rates. 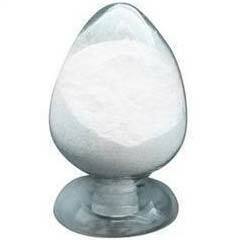 Molybdic acid refers to solid, hydrated forms of molybdenum trioxide and species in aqueous solution. The simplest solid form, the monohydrate, is MoO3.H2O, the dihydrate MoO3.H2O is also known. The solid state structure of O3Mo.3H2O consists of layers of octahedrally coordinated MoO3.H2O units where 4 vertices are shared. The dihydrate has the same layer structure with the extra H2O molecule intercalated between the layers. In aqueous solutions of acidified molybdate salt at low concentration molecular O3Mo.3H2O has been characterized spectroscopically. The salts of molybdic acid are called molybdates.